This is something we’ve been working on while also creating a taxonomy for education content. We’ve also built the structure for the new taxonomy and some tools to help us to iterate that taxonomy as we learn. We are now able to tag content via our new Publishing Platform, this reduces complexity and makes it easier for us to make changes to tagging. It used to be difficult to join up pieces of content that were created by different publishing applications. 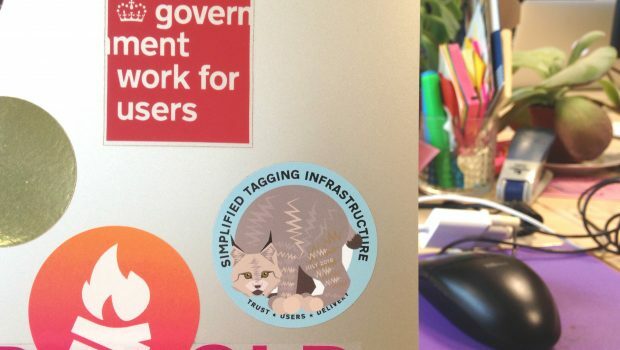 Now that we send tagging information to the Publishing API (rather than each database handling its own tagging information), we can have one view of the relationships between all the content on GOV.UK and their existing tagging information, which will make it easier to switch over to the new taxonomy. It also means that we can show more consistent patterns, like breadcrumbs, we can also tag content that we couldn’t before, like manuals. We’ve created the draft taxonomy for education content in our new application, ‘Content tagger’, which means that it’s ready to use when prototyping the new navigation design. We’ve also built tools to bulk tag content items to the new taxonomy. When we started out we thought we’d need to make changes to tagging in Whitehall Publisher, so we tested out some new designs for how that might work. After doing research with Whitehall Publisher users we found that making changes now probably wouldn’t help and would make things a little bit more confusing. So we decided to hold off making changes until we can be sure we’re making things better. Sometimes not doing something, based on research, is the right thing to do. We’ll be blogging about all of this soon. If you have any questions, do get in touch. Holly is the product manager for Finding Things. Follow her on Twitter.